This entry was posted in Post Race Recovery, Recovering from an Injury, Staying Healthy and tagged bloating, Post race weight gain. Bookmark the permalink. Thanks Joe!! Been wondering about DOMS and post-long run/ long race water retention for awhile now. Had a feeling it had to do with water retention/ mild dehydration but your knowledge and clarification were super clear and extremely helpful! Thanks so much!! The worst injury that I suffered during the race was sunburn on my legs, but only below the knee. I put sunscreen on my face and ears before the race, and wore a hat and a long-sleeve shirt (I was cold). I even carried sunscreen with me and applied it to my hands and face during the race. Although I know better, for some reason I was too lazy to put any on my legs, and I regret it now. Learn from my mistakes. Thanks, Joe. I definitely had DOMS; though it is getting better and better each day. I found that very gentle yoga (along with staying hydrated and eating a balanced diet) is helpful in the process. This was my first marathon. It was a truly humbling and unforgettable experience. Hats off to you and your entire team including the volunteers as well as law enforcement and EMTs. Your/their dedication never waned (I know, I was at the back of the marathon pack). The spectators and bands were awesome too, cheering just as enthusiastically for us back-of-the-packers as for the leaders. Glad to see that Jersey is getting back on its feet. Its residents truly are Jersey Strong. Julie, Congratulations on your race! I hope that you are enjoying your PR in the marathon! Please join us again soon! I couldn’t figure out what was going on when ever I gain that post race 3 pounds. I had a hard time beliving it was the small bowl of moose tracks ice cream I treated myself to after last week’s run down Broad Street.Thanks!! Thanks for this useful piece of info. I ran my first full marathon y’day. I checked my weight today was surprised that i had gained 2 pounds (181 – 183 pounds) wondering if it was normal – Will wait up for a few days to check the status. Conditions were really tough 28C at 93% humidity and it rained on top of that – I thought I was able to manage my fluid intake well during long runs but y’day proved to be an eye opener in terms of how unprepared as I really was – I messed up my pace/ fluid intake since I had not encountered these conditions before (I think I did not take enough electrolyte) – One question – Glucose intake does not replace salt electrolytes right? Struggled through the finish in around 5hrs 30mins after managing severe cramps on one leg / stomach. I was looking to finish under 5 hrs (Ran a 21 miler in 3 hrs 55 mins in 26C at ~75% humidity hence was hopeful. Clothing I wore was also a mistake since I did not wear a dri-fit shorts and carried a cotton towel) – Both got soaked and became very heavy likely causing the cramps on one side. I wore a VFF – luckily did not get blisters but ankles/ calf became terribly stiff after the run! Came down with chills and a fever post the run. Could not eat normally hence split my portions to eat every 2 / 2.5 hours as and when I felt hungry. Still have a dull headache and soreness which is much better compared to y’day where I was hardly able to walk. All in all a valuable experience for me for the future! Congratulations on completing your first full marathon!!! That’s always quite an accomplishment and while the finish time wasn’t what you had hoped, it was a learning experience and a milestone. Remember, you set a PR that day! 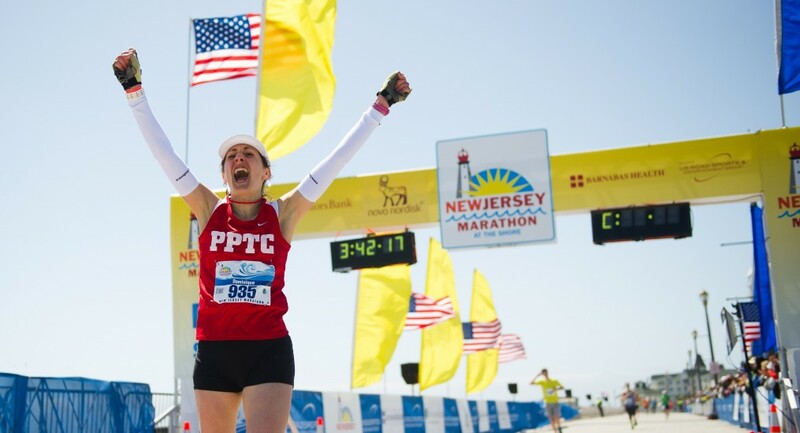 That will not likely happen every time you race so enjoy your new Full Marathon PR! The weight gain itself shouldn’t be a problem and I suspect that it has gone away by now. You’re correct, glucose intake is different than sodium intake and one does not replace the other. Glucose can help to replenish your energy stores or give you a quick burst of energy (depending on the type), and if depleted your perceived energy will suffer, however a sodium imbalance can be life threatening (hyponatremia)! Hyponatremia may result from excess fluid in the body relative to a normal amount of sodium, or it may be due to a loss of sodium and body fluid. Muscle cramps during long-distance running are often the result of sodium depletion. It could be that because of the heat and humidity you drank more fluids than you needed, which can result in several of the symptoms you mentioned. Anyone exercising in excess of three hours is at risk for running low on sodium, and the result can range from muscle cramping to more serious problems. Each day is different and our bodies may react differently from day to day. You surely experienced that during your training. One day you’re full of energy and want to run forever, and another day it’s a chore to get out the door or your legs feel heavier than normal, or your breathing is more labored then normal, etc. The problem with prediction tables is that they typically take one day, and perhaps a good day, and use it to predict how you’ll perform sometime in the future. They are reasonable good at predicting how you’d do sometime in the future, if the conditions are similar. There is plenty to accomplish during training and it’s not just about long runs and speed work. It also should include figuring out possible causes to you different performance levels. For example was it related to: sleep, stress, nutrition, hydration, injury, illness, weather, course/route, etc, and then take appropriate corrective action. Once you can eliminate some of the performance impacts which are under your control, and you learn how to adjust your race plan based upon things out of your control (e.g., weather) the more satisfying your training and racing will be. A number of your post race experiences are more common than you may think. For example; difficulty walking, a dull headache, overall soreness, difficulty eating normal sized meals for awhile are not that unusual in new marathoners. It seems to me that your post race experience indicated that you pushed yourself harder than you were trained to do, under the conditions on race day. I applaud you for your determination and fighting through the cramps! Training is much more than just putting in miles, it should also include testing things such as: clothing and apparel, nutrition, hydration, race paces, and it should also be to run in as many possible race day conditions as you can. For example, running in the rain during training is important to be able to determine how that will effect your hydration and pacing strategy, etc. I am impressed with your detailed recount of the issues and positive attitude. That’s a very good sign of a runner who will experience much success. Every runner in the world needs to constantly learn new, better, ways to train and race and you are doing just that.